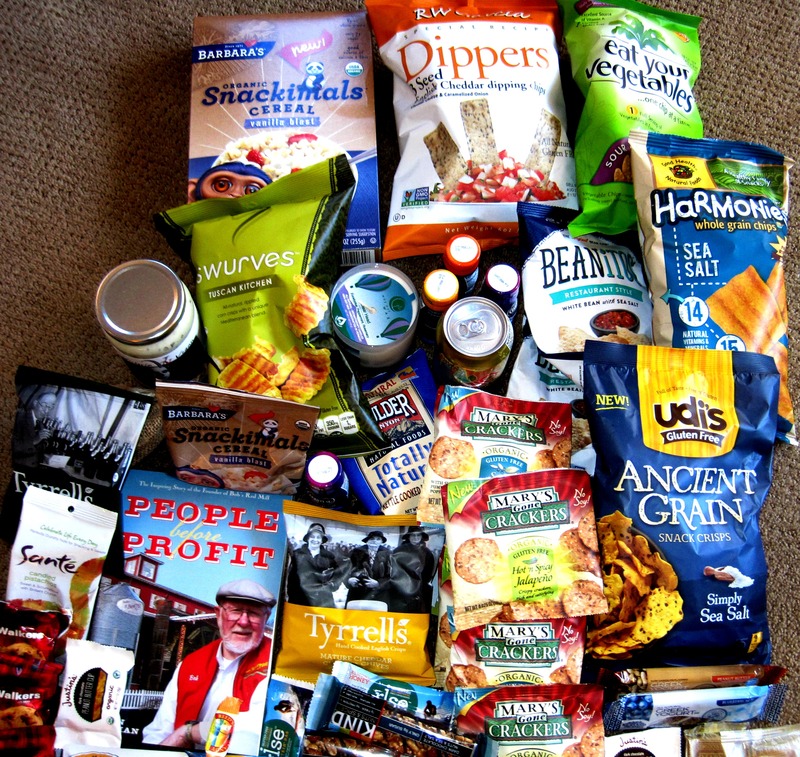 This year, I had the opportunity of attending the Natural Products Expo West which is the largest trade show in the natural/organic/healthy product industry. Every year thousands of retailers, vendors and press attend the event to learn more about the latest and greatest when it comes to natural products. I honestly had no idea what to expect when I arrived at the expo, but I was blown away. 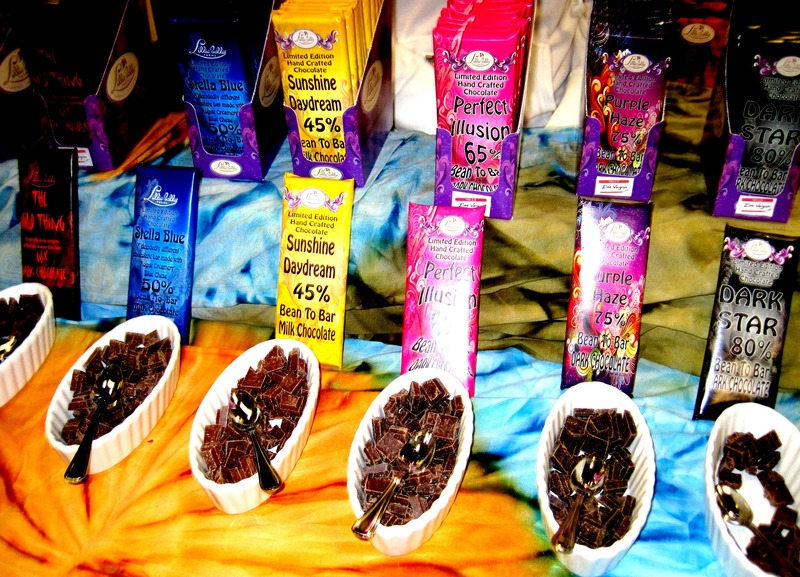 The Natural Products Expo West is held at the Anaheim Convention Center and has over 3,000 exhibits ranging from natural and organic food and beverage, beauty and household products. Since Sweet Potato Bites focuses on natural and allergen-friendly foods, this expo was pretty much a food lover’s paradise for me. And it’s safe to say I left the expo with a bunch of goodies. 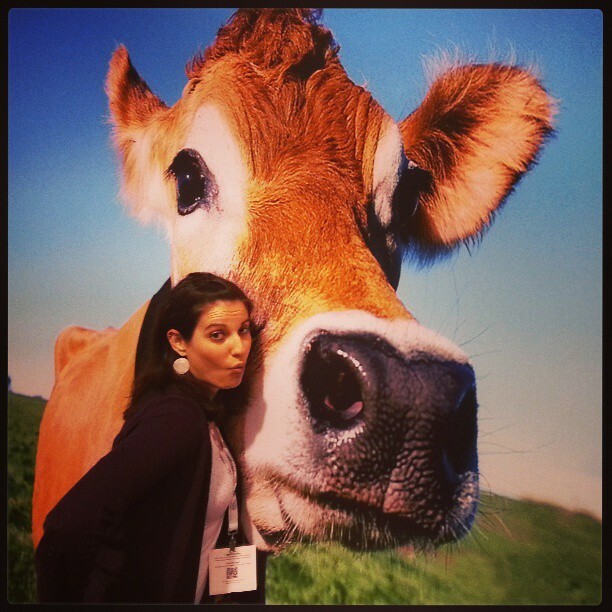 I was glad to see some of my favorite brands at the expo such as Reed’s Ginger Brew, Evolution Fresh and KIND Snacks to name a few, and even had time to take a SMOOCH with the cow from Stonyfield Farm and won a free candle as a prize. I have to give special kudos to Stonyfield Farm for their excellent social media and consumer engagement – their booth was rocking! In addition to stopping by some of my favorites, I also had the opportunity to sit down and chat with some of my favorite brands as well as some brands that were new to me. One of those new brands was Lillie Belle Farms. Lillie Belle Farms is an artisan chocolate company based in Southern Oregon that creates decadent chocolate using European techniques with a fun American “twist.” Lillie Belle Farms is most well-known for their decadent truffles and bon bons, but I was most excited to learn about their “Bean to Bar” chocolates. I had the chance to talk with Jeff Shepherd, the owner of Lillie Belle Farms who truly has a passion for making delicious chocolate while putting a creative spin on it. After many years of making delicious truffles, he told me how he decided one day that it would be interesting to make a chocolate bar made directly from coffee beans, so he borrowed some beans from a friend, combined them with some sugar, and with a bit of trial and error, made a delicious “Bean to Bar” chocolate bar that ended up winning two Good Food Awards in San Francisco. I tried the award-winning bar which was named Perfect Illusion (all of the bars named after songs) and it was divine. If you are a chocolate purist, I definitely recommend these. Jeff even uses quality Criollo beans from Peru in some of his Bean to Bar Chocolates. However, if you are in the mood for something more creamy and decadent and perhaps milk chocolate, then The Most Awesome Chocolate Bar EVER made with homemade almond and hazelnut gianduja, crunchy feuilletine wafers and sea salt. This bar is quite possibly the best chocolate bar I have ever tasted (and I have tasted a lot). I now see why Jeff calls it The Most Awesome Chocolate Bar EVER. Jeff also has other creative chocolate creations including a chocolate bacon bar that has a strong bacon flavor and the Sunshine Daydream bar made with milk chocolate and powdered buttermilk. All of the Lillie Belle Farms chocolate flavors are so unique and you can tell that Jeff pours a lot of love into each bar. Making chocolate is this man’s passion and it definitely shines through. 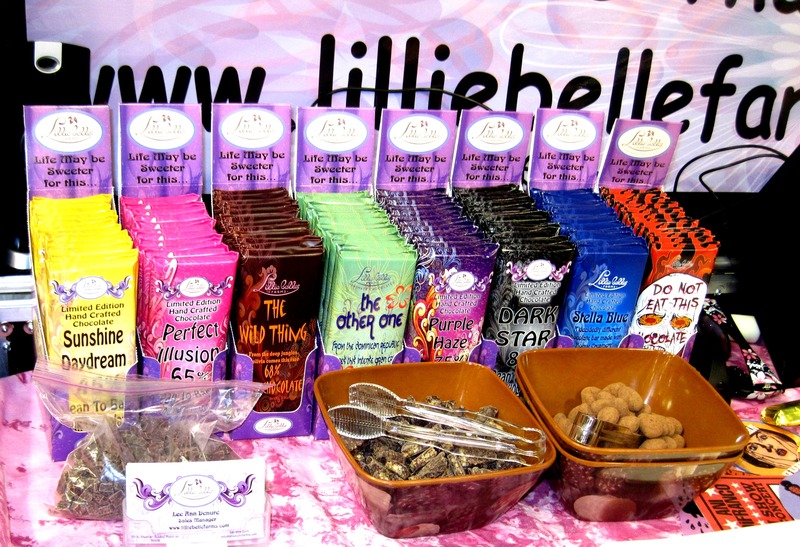 Unfortunately Lillie Belle Farms isn’t in Southern California (yet), but you can order their delicious chocolate from the website. I definitely predict having many more Lillie Belle Farms chocolates in my future. Thanks Jeff for taking the time to meet with me and introducing me to your delicious chocolate! Stay tuned for part two of the Natural Products Expo which includes meeting Mary from Mary’s Gone Crackers! This entry was posted in Best Of, Gluten-Free, Orange County and tagged lillie belle farms, natural products expo, natural products expo west, Organic Food, stonyfield farm on March 10, 2013 by allie@sweetpotatobites. It was a truly a pleasure meeting you as well. I am very happy you enjoyed our creations. The show was fantastic and we look forward to seeing our bars in stores near you quite soon. can’t wait for the bars to hit stores! i’m still saving the Most Awesome Chocolate Bar for a special occasion!